A pair of shoes is completed after going through different processes starting off with manufacturing wooden shoe molds, preparing pattern paper, cutting, sawing, pulling over, and many more. Also, in order to complete a pair of fine quality shoes, each process requires precise and advanced skills. We SANTA MERCEDE are working on shoe-making sincerely while generously putting our skills and experiences cultivated by our craftsmen over the years to complete the best pair of shoes for our customers. In order to make a shoe that is truly high quality, there is no compromise on choosing the materials for the shoes.For its upper, SANTA MERCEDE uses the leather from first-class tanners in Europe - generally based out of Italy and France. 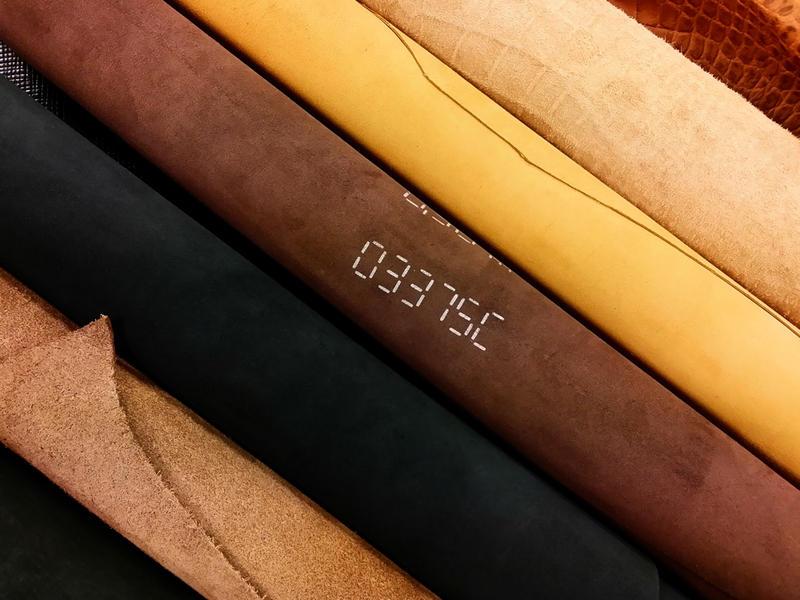 Not only the upper, the materials for the outsole, insole and lining - all of which are essential to the shoe-making, are carefully selected, ensuring the highest quality that the critical craftsmen can guarantee. The manufacturing process also plays big part in the quality of the shoes as much as the materials. 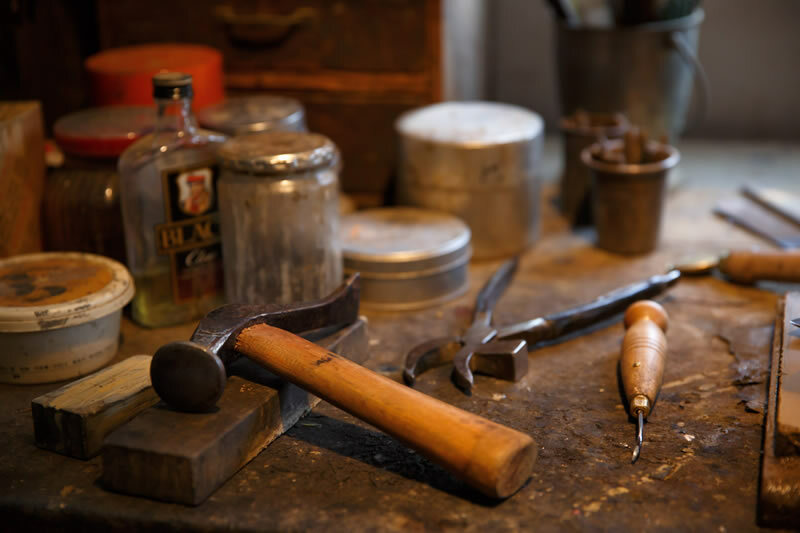 We wield multiple production processes such as hand sewn welt process, Goodyear welt process, and Mckay process, and pick them to suit design or concept of shoes. We are especially particular about "hand sewn welt process." 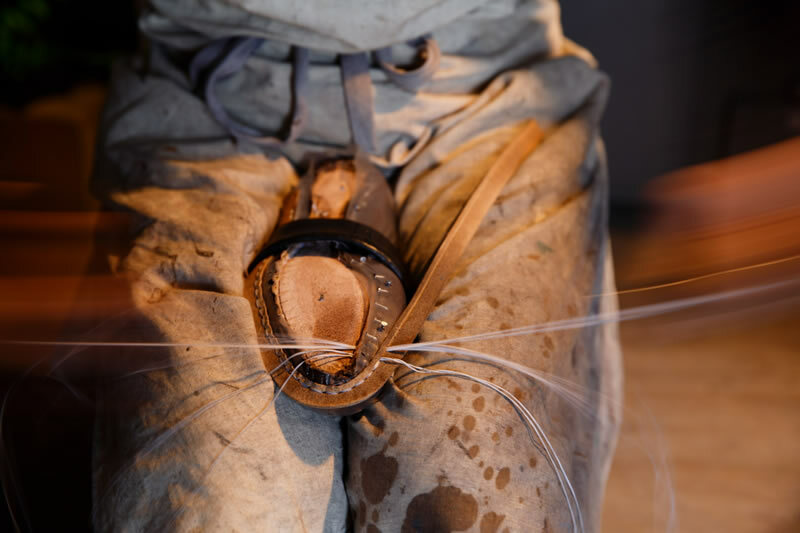 It is a primitive and traditional process, and has been used since before shoe-making was mechanized like today. 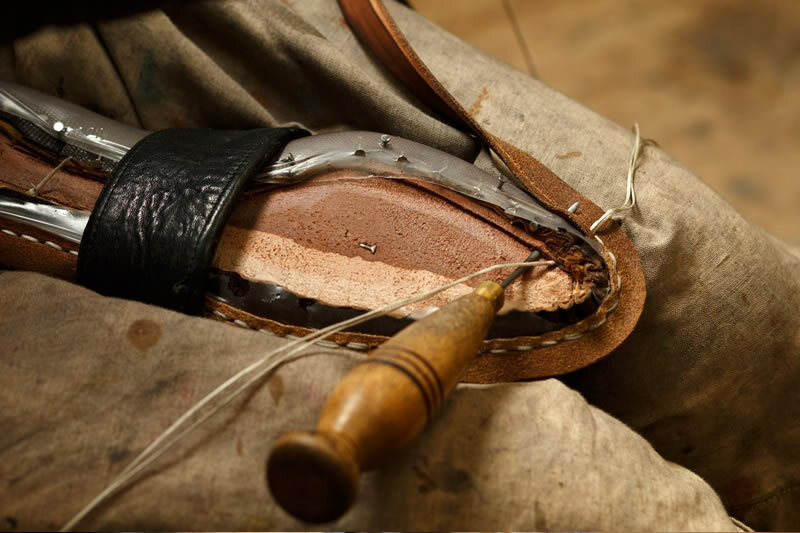 The most distinctive feature of this process is "welt-stitching" by hand which involves stitching the upper, insole, and welt. It requires high skills and experience, costs time and labor, but will guarantee the highest quality from so many perspective - tolerance, feel, beauty and such. As we pay respect to traditions and gives priority to quality rather than efficiency, the process is absolutely essential for SANTA MERCEDE.